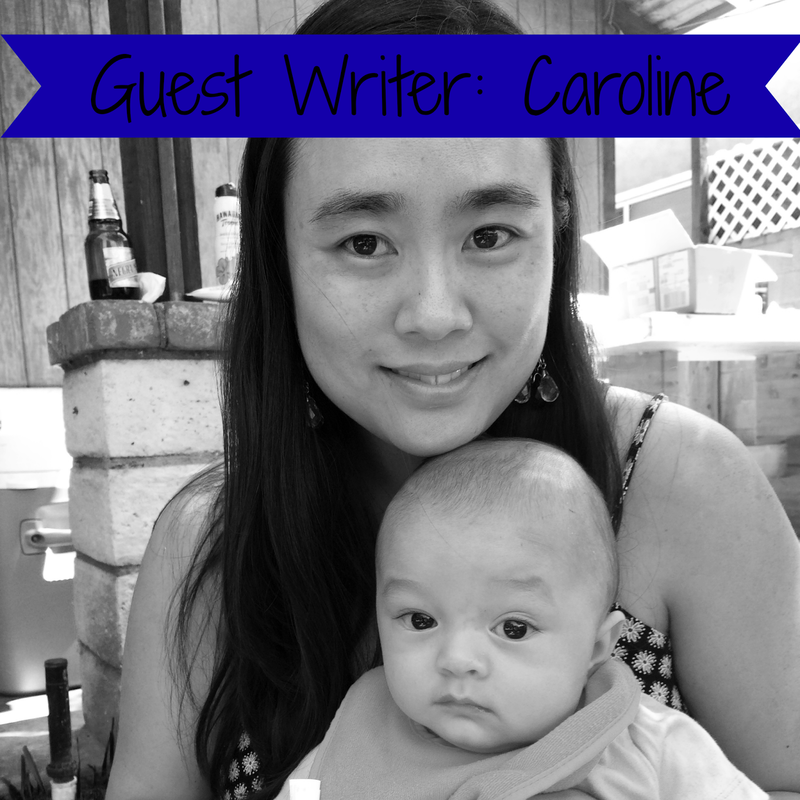 Next up in our parenting guest-writer series is Caroline, a LA native, who brings up a great topic today: how much do you discuss your kiddo at work? Take it away, Caroline! Standing in the work lounge waiting in line for coffee, a colleague and I chatted about our day – the meetings scheduled for later, project deadlines, and eventually, how my transition back to work was going. I just returned from maternity leave three days before so the “newness” of work – endless coffee, adult conversation, having more than five minutes to eat a meal – was really appealing. It was an easy conversation to have, but then she asked “How is your baby doing?” and I was suddenly at a loss. I could have shown photos from my phone; my husband and I were documenting each month by having the baby wear a Dodger cap and I had taken photos of the baby that morning. All I could say to my colleague’s question was “he’s good,” quickly filling my coffee mug and walking away. By the end of the week, another colleague shared she was impressed with me because I kept baby stories to a minimum, unlike the other mommies who returned and were on baby-mode all day. I wasn’t sure if this was a victory in the working mama book. As a mom to a six-month-old boy, there are hundreds of moments I could share – the good: He smiled! He rolled over! He loves to play peek-a-boo! The bad: He was fussy for the first 10 weeks of his life and my husband and I were convinced we had a colicky baby. He spit up on my outfit during a feeding so I had to change clothes…again. Or, my favorite, he spit up on my husband’s tie for the fifth time this week. It wasn’t always like this. During the six months I was off on maternity leave, I met other mommies for playdates where we shared our daily struggles of caring for an infant, trying to lose baby weight, and being (for now) an adequate wife to our spouses. We commiserated around crying from exhaustion and surging hormones the first weeks after delivery, and how we secretly wanted parts of our pre-baby life back. During the early weeks, I felt so isolated, even though my husband was with me and my family was nearby. In that comforting environment with other mommies, talking about babies was effortless. My son started sleeping through the night around 10 weeks, so I wasn’t relying on 12 cups of coffee to sustain a conversation. Maybe part of my candor was due to the relaxing post-pregnancy ensemble of nursing tank, comfy yoga pants, and flip flops. I’m not sure. Once I became a working mom, the high heels, wrap dresses, and non-diaper bag returned. Around early August, my apprehension about returning to work crept in. Part of my stress was thinking about logistics; getting up early to shower and get ready, prepping bottles, feeding and getting the baby dressed, and then spending maybe 10 minutes to get myself dressed for work. I was also anxious about fitting back in at work and relating to my colleagues. The new mom Caroline wasn’t going to be same person who worked late and spontaneously planned happy hours on a Tuesday. I worried that I would suffer from mommy brain and that my colleagues couldn’t trust me. I worried that now that I was a mom, people would only see me in that role. In the early days after my return to work, I learned fairly quickly that colleagues do want to hear baby stories, up to a certain point. Just because I work with a lot of women doesn’t mean everyone is excited to hear that the baby now rolls from back to front and can scoot to reach a toy. Some of the new mommies at work are constantly talking about their babies which is fine, it’s not for me. I can’t assume that stories of my baby’s excessive drooling trumps recapping “Orange is the New Black.” The lesson? There is a thin line between sharing enough and oversharing, and what was acceptable during maternity leave wasn’t going to be at work. I tell friends that I feel like I’m shedding different layers of skin everyday. I’m Caroline the mom in the morning, but as soon as I grab my bags and run out the door, I’m Caroline, the working girl, trying to get into work by 9 a.m. When the elevator doors open to the sixth floor, and I log on to the computer, my brain has to be focused on the tasks of the day - making sure a Trademark application was submitted correctly or drafting new contracts. Because I’m still figuring out being a working mom, answering the baby question with “he’s good,” is enough for me. I’m still learning what my limits are at the workplace, and what I am comfortable sharing. A Los Angeles native, Caroline Stockstill is a mom to a six-month-old baby boy named Theo. She and her husband are also parents to a five-year-old dachshund, Mr. Bennett. In her spare time, Caroline likes to catch up on sleep and old issues of the New Yorker. She works in the legal department at an early education nonprofit in Los Angeles. I never thought about this before - I'll be much more conscious of this now when I return to work after my second maternity leave. Though, when I returned to work after my first leave, I tended to do the mommy/baby chat only with other new moms (there are always lots at my company), especially when we were sitting in the pumping room for long spans at a time.